The hue of Bordeaux wine and juicy cherries, this shade of red is providing us with that full-bodied luxe our wardrobes need this winter. Hint: This colour looks great with light-wash denim. The key brown shade for the season is about as dark as it can get. Top tip: Pair with other shades of brown for a beautifully balanced look. As seen in the collections of Balenciaga and Versace, this sapphire yellow hue is a good way to break up the hum-drum of gloomy winter dressing. Try a gorgeous slip skirt in the hue or wear specks of it in your knit. Not to be confused with deep charcoal grey, winter's hue is veering on the bright and bright. 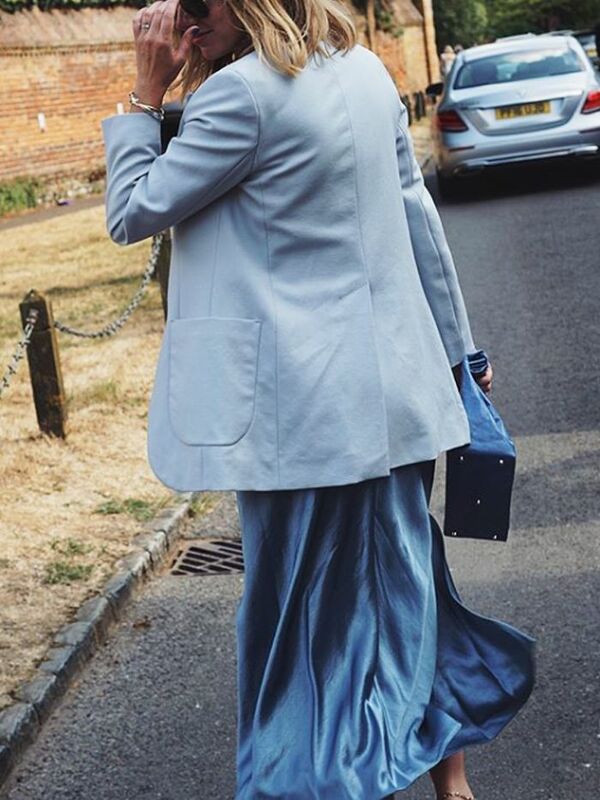 Stone grey can be worn head to toe (as Vanessa Hong of The Haute Pursuit demonstrates in a light-wash suit) or broken up with other colours (like the aforementioned sapphire yellow). Next up, your guide to winter's coolest outfit ideas.